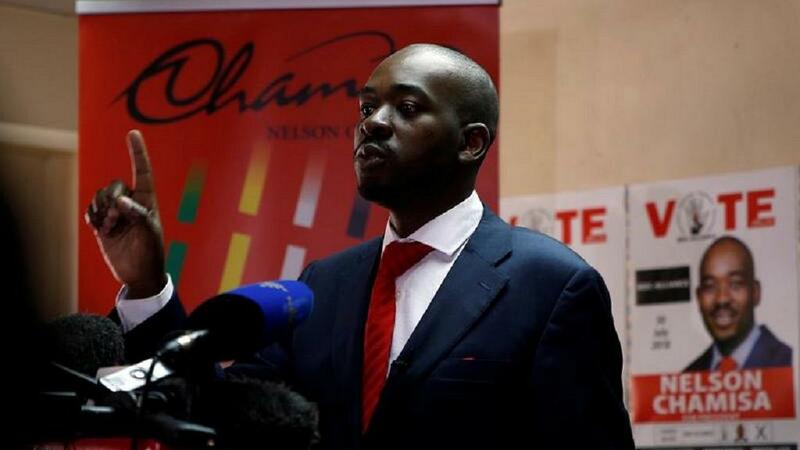 Main opposition chief in Zimbabwe, Nelson Chamisa, has urged supporters of the Movement for Democratic Change (MDC Alliance) to fast for the entire week ahead of general elections. The 40-year-old is reported to have made the call over the weekend. According to him, the fast was to ensure a smooth transfer of power from the ruling Zanu-PF, the local NewsDay portal said. “To all those who can please fast for your country. Then on July 29, that is on Sunday, it should be a national day of prayer,” he is quoted to have said. The July 30 elections pits Chamisa against the incumbent Emmerson Mnangagwa. Both men are joined by over a dozen other candidates running for the presidency. Mnangawa is currently serving out the mandate of long-serving leader Robert Gabriel Mugabe who was ousted in a military backed takeover in November 2017. The most recent poll published by the Afro-barometer group said the polls were too close to call and that MDC was at 37% only three percentage points behind Zanu-PF. And projecting that the process could go into a runoff. Both parties are deeply engaged in campaigning across the country. For the first time in decades, the government has allowed a broad range of observers to be part of the process. It is the first time Zimbabwe will have a new president. Meanwhile, South Africa’s state broadcaster, SABC, has reported that Zimbabwe’s Foreign Minister Sibusiso Moyo has admitted that the ruling ZANU-PF did not respect rule of law during the Mugabe presidency. Moyo, the army general who announced the November 2017 takeover, said Zanu-PF had transformed itself into a party that respects the rule of law since Mugabe was ousted. The vice president, Constantino Chiwenga, is also on record to have stressed that Mnangagwa was cruising to victory in the polls. Chiwenga was Mugabe’s last army chief before resigning his post to become vice to Mnangagwa.